Glasses are an accessory that I often do not flaunt or wear out in public. I like to consider them my secret accessory. They are always a surprise for those who didn’t know that I wear them. 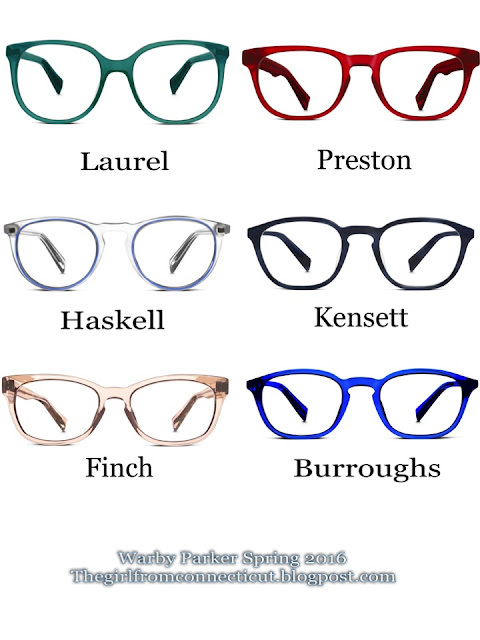 Warby Parker is a company that has many different styles and options that will work for anyone. This spring they are launched many new frames with a variety of gorgeous colors. What is great about this company is that all frames start at $95 and they offer Home Try-On as well as having various locations around the U.S. What especially caught my attention is that when a frame is purchased they will donate to someone in need. Since there are so many styles I think it is safe to say that you will always look stylish with a fun pair of glasses to add an unexpected twist to your outfit.